Still looking for the perfect gift for Father's Day on June 21? Do you have a book lover to shop for? Maybe you know a father to a new baby with an intellectual or developmental disability? 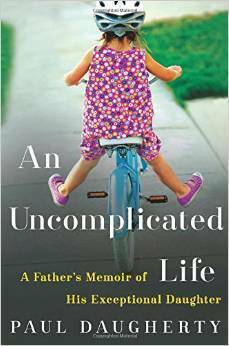 Allow me to recommend Paul Daugherty's new memoir, An Uncomplicated Life. Oct. 17, 1989 was a game changer for Paul Daugherty. On this day his second child, a daughter that he and his wife Kerry would name Jillian, was born. Jillian was born with Down syndrome and would challenge everything that Paul knew about raising a child and being a father. A sportswriter by trade, Daugherty tells the story of raising Jillian in his new book. There is no shortage of memoirs on the market. But there are not enough books out there from a father's perspective. Daugherty's memoir about raising his daughter Jillian is a moving and beautiful tribute that takes us from Jillian's birth (his family's "last bad day") up through today where Jillian is an independent and strong-willed young lady with a full life. Daugherty says of his memoir, "It's a book for any parent who, at one time or another, needed nothing so much as hope." The book is well written and full of perfect analogies and relatable anecdotes. The memoir is raw, real, touching and poignant -- everything a memoir should be. "This is a story about a dream and a child, and the progress of each," says Daugherty. "This isn't a book about Jillian's disability. It's a book about how her disability enables the rest of us," he says. The author doesn't sugarcoat anything, but by the same token, he doesn't present a life of challenges and hardships. He simply shares his life with Jillian -- the highs and the lows. 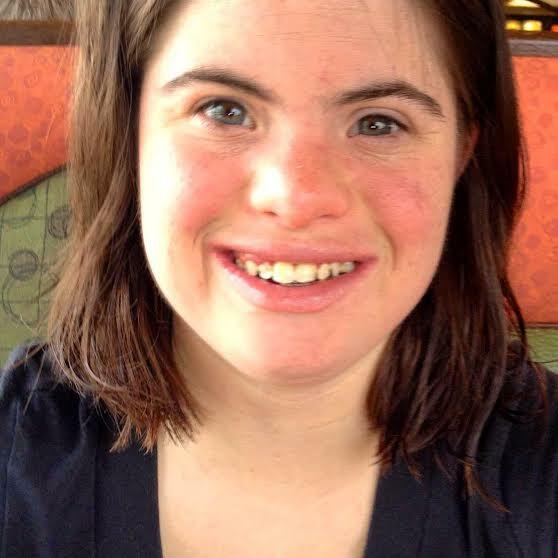 The message of seeing Jillian, rather than looking at Jillian, is so important. Simple and yet vital. "Don't look at Jillian. See her. Looking is passive. Seeing requires empathy and participation. It's a basic civil right. Don't look at Jillian and judge her. See her for the woman she is," says Daugherty. The book delves into the world of therapies, special education, IEPs and helping his daughter transition to life as an adult. Parents of children with Down syndrome will find common ground as Daugherty navigates Jillian's formative early years and how to help school staff see his daughter as a person, not a set of documents. "Expect, don't accept" becomes a mantra that serves Paul and his wife as they watch Jillian grow into a young woman. The book ends just as Jillian's adult life is taking off. "She's getting married June 27. I've been informed that my role in this grand affair is to show up, shut up and pay up. So far, I'm batting a thousand," says Daugherty. Telling a rare side of the story from a father's perspective, moms and dads alike will enjoy this well-written, funny and caring book from Paul Daugherty. Paul Daugherty's author page on Facebook can be found here. An Uncomplicated Life, published by HarperCollins, can be purchased through all major book retail channels. Beth Sullivan is Chairperson of the IDSC and Stephanie Sumulong is on the IDSC Board of Directors and blogs at http://thesumulong3.blogspot.com.